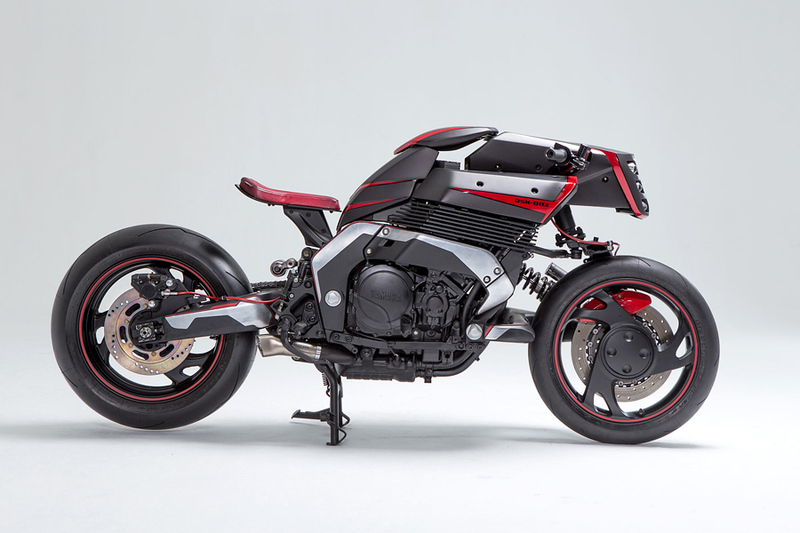 The original 1993 Yamaha GTS 1000 forkless sport tourer was truly radical for its time. 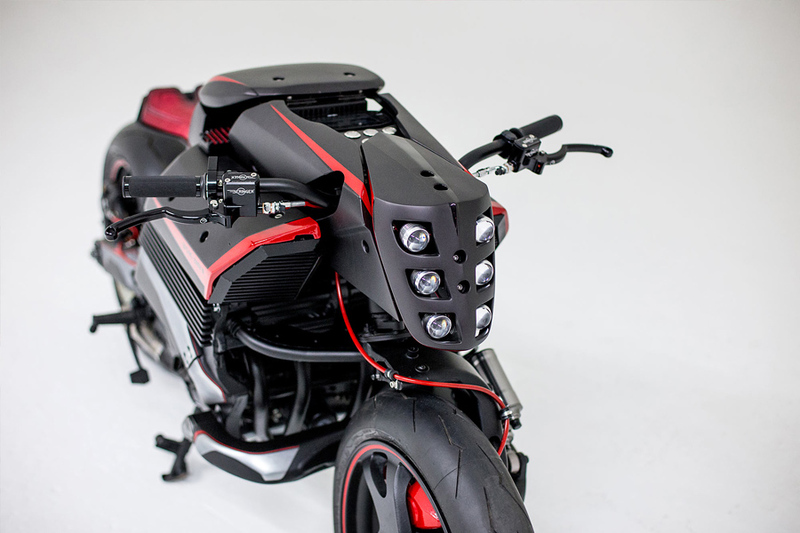 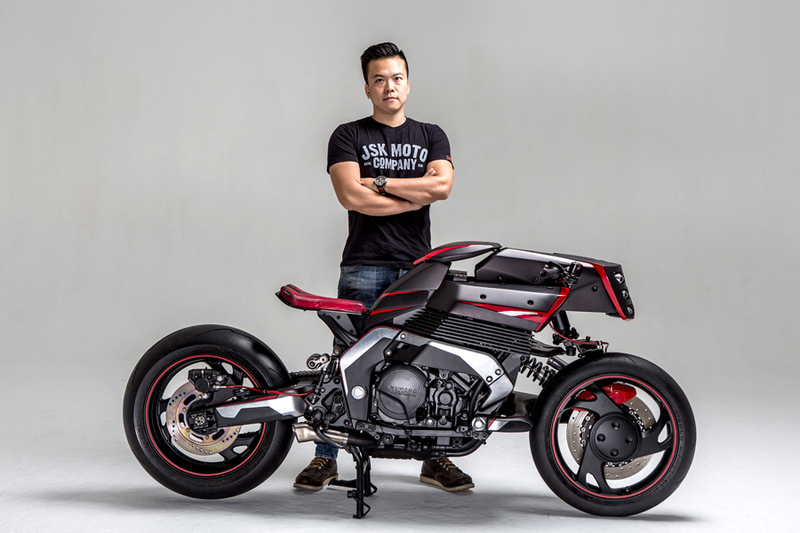 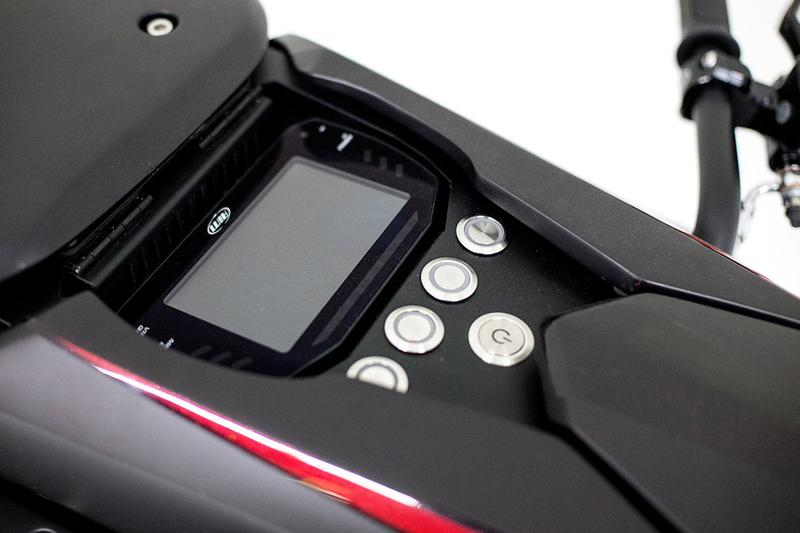 Now James Chen and JSK Moto Co. have used that future-looking bike to create the one-off Rhodium Omega, which sounds like a weaponized element fought over by the forces of good and evil. 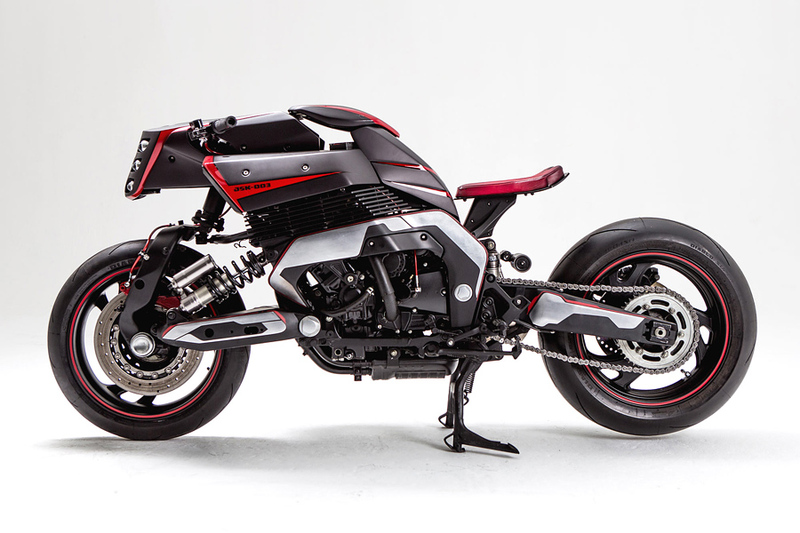 In this case, it’s a motorcycle that looks like an anime hybridized panther/wolf spider that’s ready to pounce. 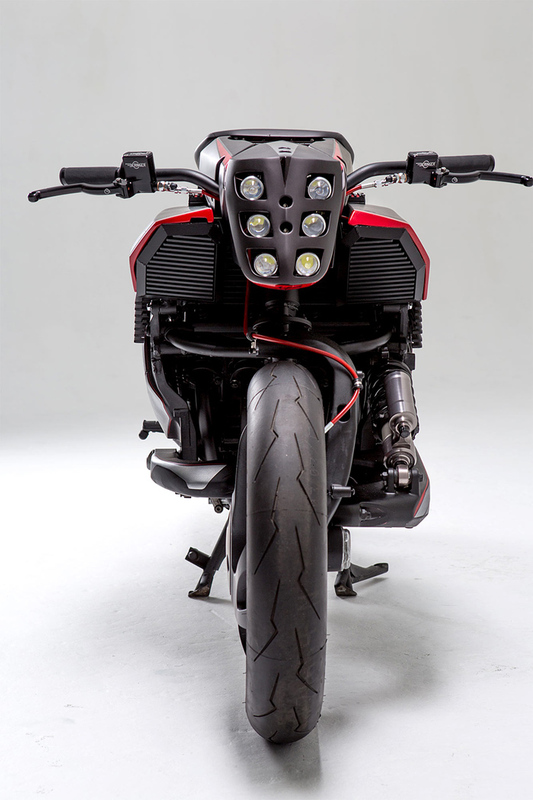 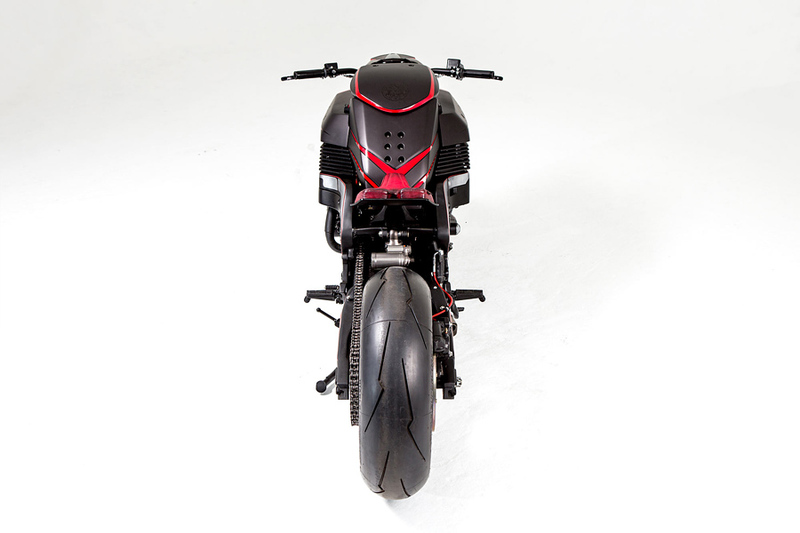 Each panel of the bike is pentagonally influenced, and virtually everything from the Gundam-inspired intake vents to the ultra-thin suspended seat and the multi-lens LED headlights are custom crafted for this special bike. 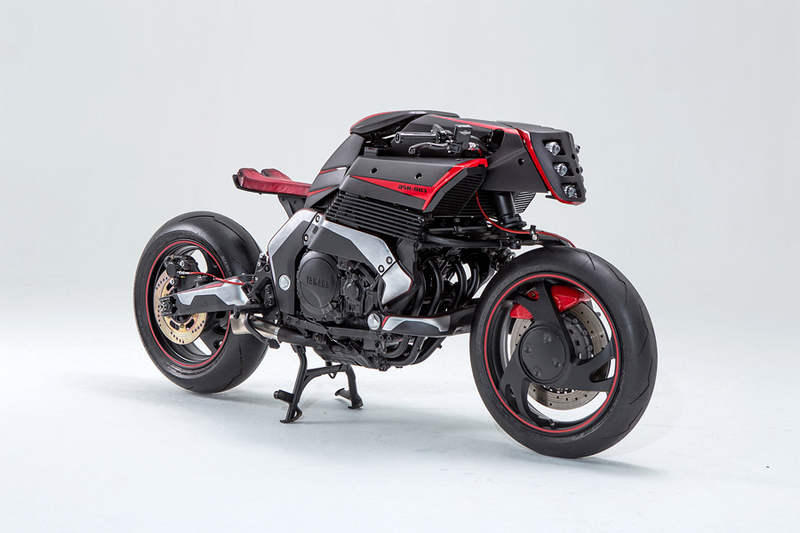 Even the Rhodium Omega’s meticulously crafted metal work is the result of painstaking custom molds that give the bike a look like no other. 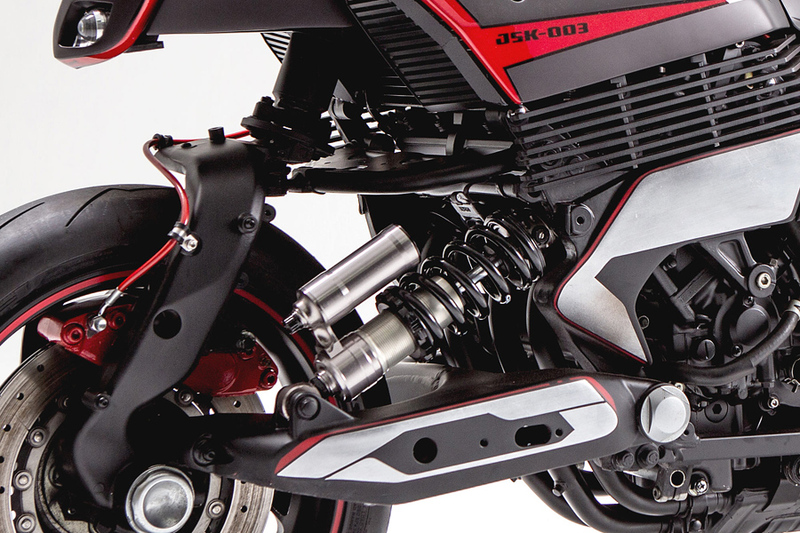 And just like the GTS 1000, the Rhodium Omega eschews the traditional bike fork for a single swingarm setup with its own special shock absorber. 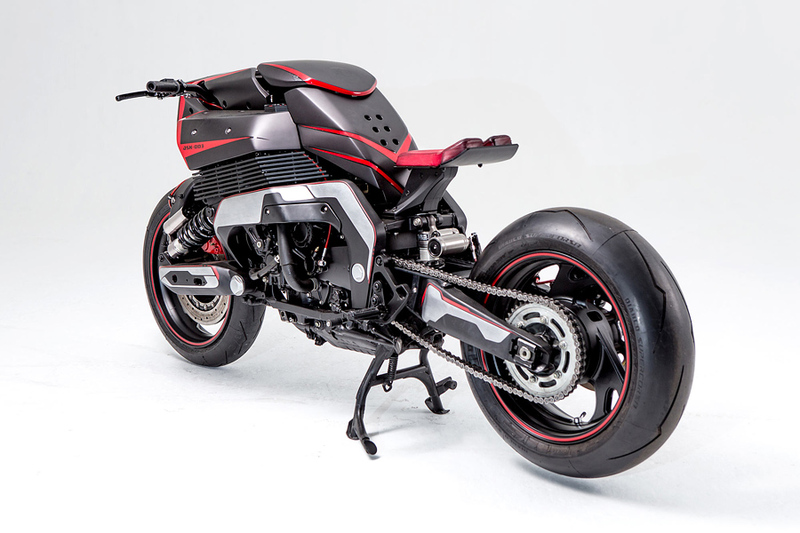 If you like this futuristic bike you might be interested in 10 world’s fastest motorcycles.